Mayor Sam Hot Rumor!! 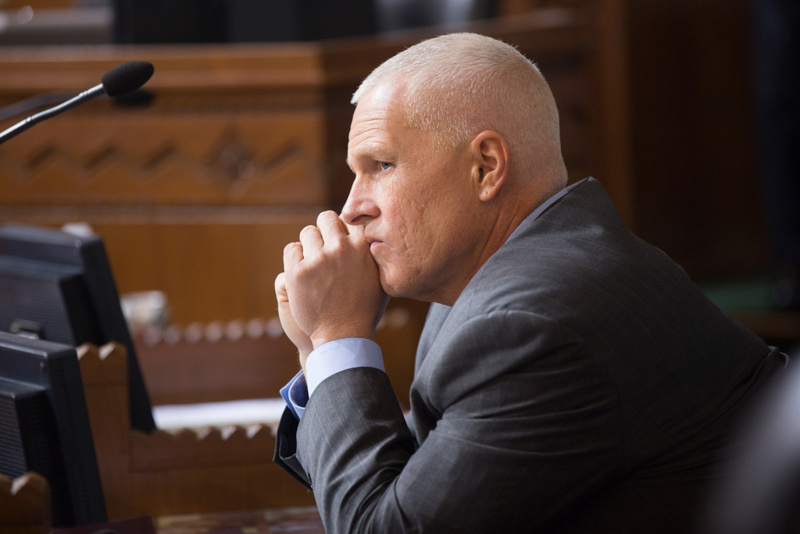 Is Dennis Zine to end Political Retirement with Bid for the 45th Assembly District? 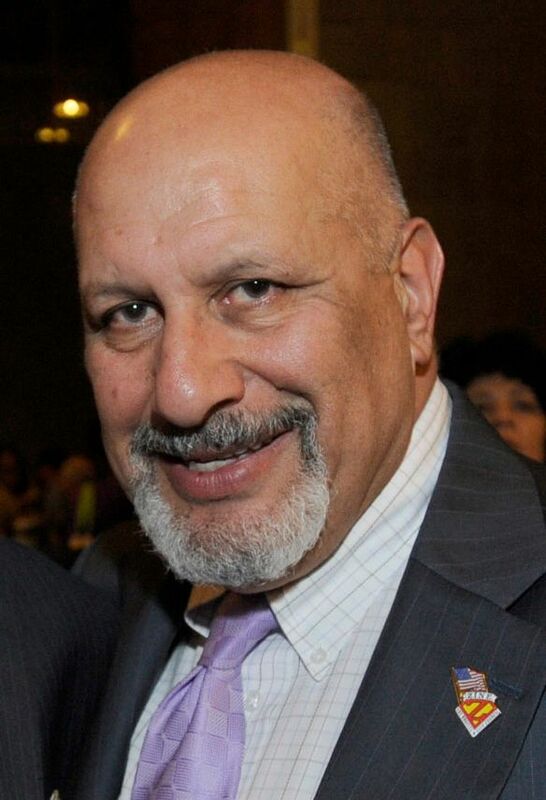 Speculation is RISING that former LAPD Motor Cop, turned City Councilman representing the Third District (from 2001-2013), is ending his Political Retirement with an Independent Run for the 45th Assembly District Seat vacated by former Assemblyman Matt Dababneh. Former CD-3 City Councilman Dennis Zine. 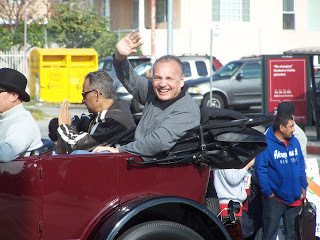 ** Blogger's Notes: The Mayor Sam Blog has been given notice from VERY reputable sources, that one of Los Angeles Most Colorful Politicos, none other than Dennis Zine, is coming out of retirement. Zine who represented the Third Council District for three terms before being termed out in 2013, is RUMORED to be eyeing an Independent Run for the 45th Assembly District Office being vacated by former Assemblyman Matt Dababneh. A Zine Campaign for the 45th AD, is sure to arouse the attention of the #Metoo Movement, considering Zine's past relationships with women but its more plausible that a majority of 45th AD Voters, would rather focus on the EPIDEMIC of Property Crimes afflicting their neighborhoods, and the Rise in Violent Crimes, due to the ramifications of AB-109, Prop 47 and Prop 57. To be continued-----Scott Johnson. 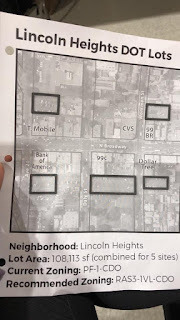 As the Lincoln Heights Community UNIFIES against the proposed SCANDALOUS misuse of Measure HHH Bond Money, to develop five Parking Lots into "Mixed-Housing", CD-1 City Clowncilman Gil "Broken Deal Cedillo" engages in a "Factual, False News (minus the Reality) Retort" ........., while Project Opponents raise money for a Legal Battle. Will Mayor Eric Garetti and City Attorney Mike Feuer intervene to protect CD-1 Clowncilman Broken Deal Cedillo (and themselves) from MAJOR legal exposure, for their mutual misuse of Measure HHH Bond Money? ** Blogger's Notes: Memo to Mayor Eric "#YogaPantsforPresident2020" Garcetti, City Attorney Mike "AB-109 Co-author" Feuer and CD-1 City Clowncil Central Committee Member Gil "Broken Deal Cedillo", no amount of "Factual, False News Retorts (minus the REALITY of your Backroom Dealings)", is going to blunt the GROWING backlash to your targeting of the Lincoln Heights Community for the SCANDALOUS misuse of Measure HHH Bond Money. Its obvious from CD-1 Clowncilman Broken Deal Cedillo's "Factual, False News Word Play (posted below, with the REALITY provide by us at Mayor Sam)", recently posted on his Website, that the formerly "One Bill Gil" is cognizant of his role in the 21st Century Version of the successful Boyle Heights Battle against a proposed Prison in the 1980s. Indeed decades later, some who were a part of the 1980s Prison Battle, are now now joining with a younger generation of budding activists (with modern tools for organizing and fund raising), to confront a SCANDALOUS City Hall Scheme .........., that should disqualify the likes of Mayor Garcetti, City Attorney Feuer and "Broken Deal Cedillo" from seeking Higher Office-----Scott Johnson. 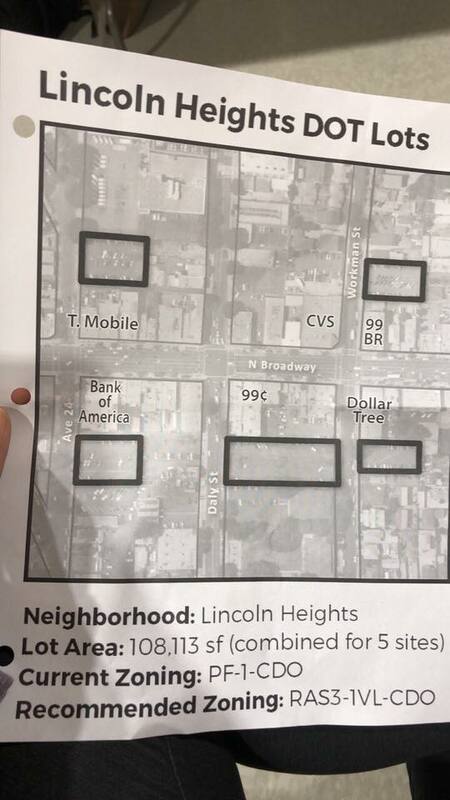 FALSE NEWS: The Councilmember is trying to push housing in Lincoln Heights. REALITY: Photo (below), LA Streetblog and Patrick Range McDonald begs to differ. FALSE NEWS: Parking will be taken away to build housing! FACT: The five Lincoln Heights parking lots include a total of 290 parking spaces. This project requires the replacement of public parking spaces on a one-to-one basis. Total loss of parking = 0. 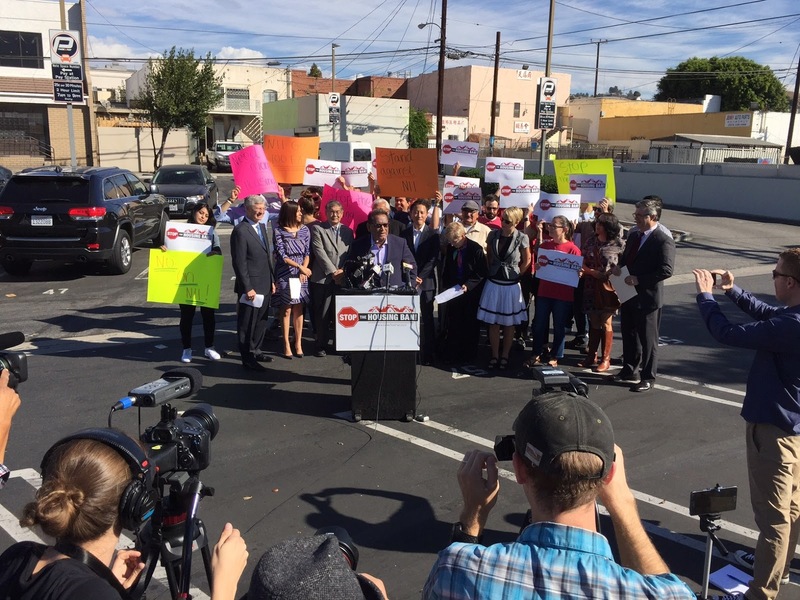 Five Lincoln Heights Parking Lots designated for development via Measure HHH. FALSE NEWS: The Councilmember is going to build housing only for the homeless. City officials are currently sorting through the proposals for projects that will make up the AHOS program. With complete certainty, permanent supportive housing will not be built at every city-owned property — five sites in Lincoln Heights, which is represented by Councilman Gil Cedillo, have already been designated for “mixed-income” housing. As a result, the city’s use of Measure HHH money for the AHOS program will not go entirely to homeless housing, and homeless men, women, and children will not receive the full amount of housing and services that Mayor Eric Garcetti and the City Council had promised. Instead, an affluent professional, the only person who can afford market-rate housing in L.A., may land a nice pad on city-owned property in increasingly gentrified Lincoln Heights or near the beach on the Westside. It’s the very definition of a scandal. 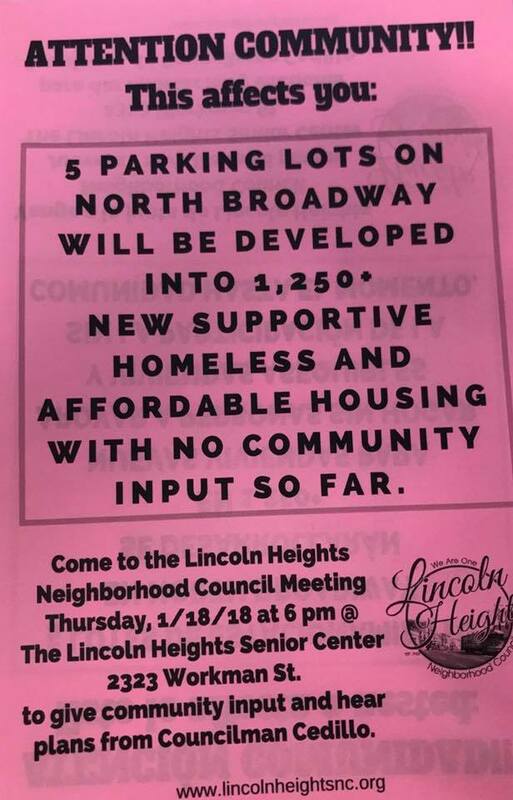 FALSE NEWS: The Councilmember is going to build 5,000 units of homeless housing in Lincoln Heights. FACT: The CAO report states that the developments across 12 sites citywide [CD1 (5 sites), CD7, CD8, CD11 (4 sites), and CD15] are recommended to account for 500 units total. 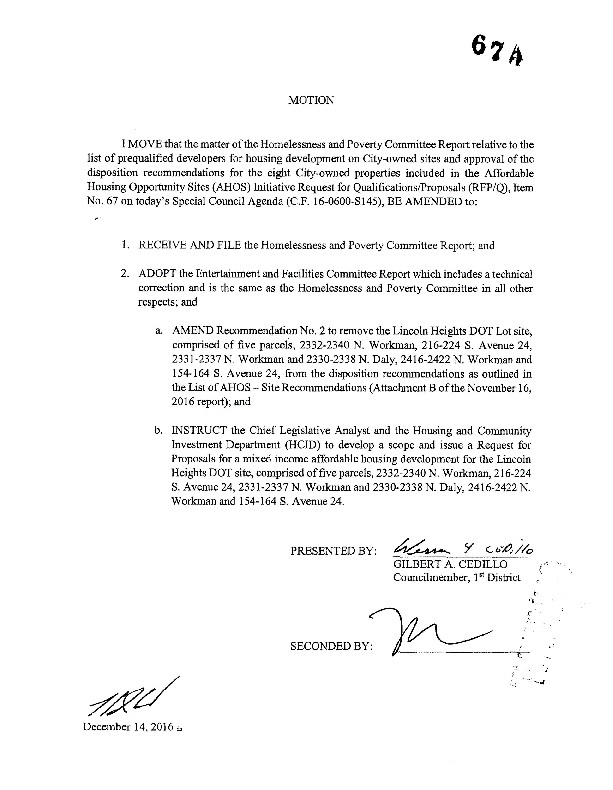 REALITY: Did the Motion (pictured below) via "Broken Deal Cedillo", remove the Five Lincoln Heights Parking Lots from consideration for development (or was this a Campaign Facade)? 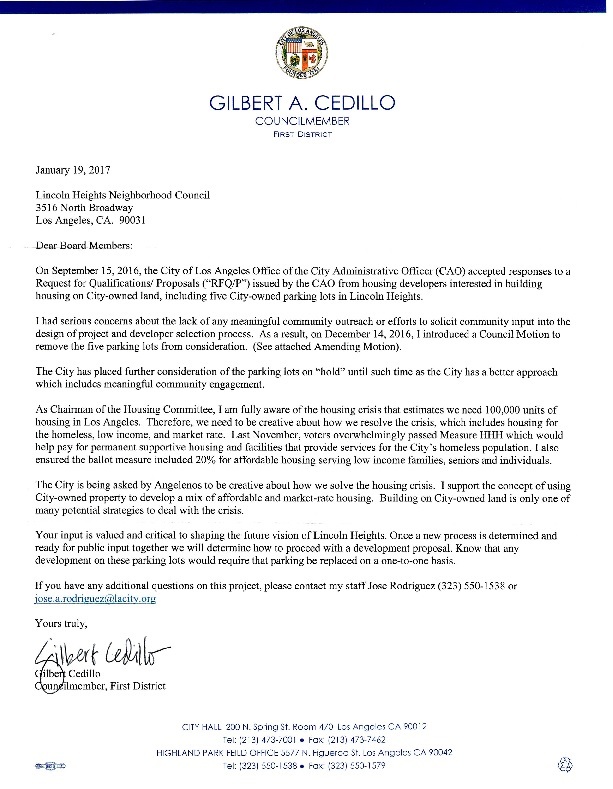 January, 2017 (before March/July, 2017 CD-1 City Council Elections) Motion that would REMOVE the five Lincoln Heights Parking Lots from consideration for Measure HHH Development. FALSE NEWS: The Councilmember is moving forward with no community input. ............, this project (with former CD-1 City Councilman Ed Reyes benefiting, allegedly), WILL GO THROUGH (BTW Arturo, did Mayor Eric Garcetti Staffer Barbara Romero concur with your comment made at the RECENT Taylor Yard Event?). In a MAJOR setback for the US Senate Campaign of Unlawful State Senate Presiding Officer Kevin Alexander (of or de) Leon, his home district East Area Progressive Democratic Club, voted to Endorse incumbent Senator Dianne Feinstein, despite the verbal effort of LACCD Broad of Trustee Director (and recent Bar Exam-failing) Gabriel Buelna. 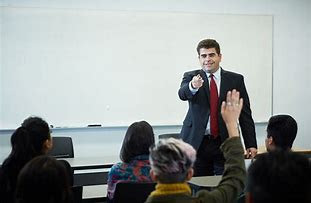 Question for LACCD Trustee (and Kevin Alexander (of or de) Leon for US Senate supporter) Gabriel Buelna: Did your verbal effort to garner State Senator Kevin Alexander (of or de) Leon the East Area Progressive Democratic Club Endorsement for US Senate, have the same result as your attempt to pass the Cubafornia BAR Exam? WTF Gabriel? I, "The Unlawful State Senate Presiding Officer Kevin Alexander (of or de) Leon the First", did NOT get the Endorsement of the East Area Progressive Democratic Club for the US Senate? 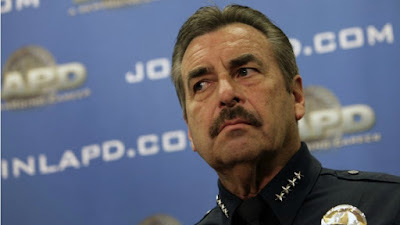 ** Was the recent "Early Retirement Decision" by LAPD Chief Charlie Beck (pictured with NOW Commander Ruby Flores (formerly Malachi), partly influence by a change in "Domestic Status (think Marriage/Relationship)? 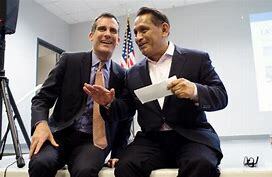 ** Will CD-1 City Clowncil Central Committee Member Gil "Broken Deal Cedillo (and Gabacho Mayor Yoga Pants Garcetti)" be the target of a pending Communal Backlash (with litigation), on the level of the 1980s Boyle Heights Protest of a proposed Prison? To be continued-----Scott Johnson. A capacity-plus crowd at last Thursday's (1-18-18) monthly meeting of the Lincoln Heights Neighborhood Council, expressed UNITY IN OPPOSITION to CD-1 City Clowncilman Gil "Broken Deal Cedillo's (and Mayor Eric "Yoga Pants" Garcetti's) SCHEME to scandalously-misuse Measure HHH Bond Money, for non Homeless-related Services/Housing, on a proposed FIVE (Parking) Lots Development in Lincoln Heights. CD1 City Clowncilman Broken Deal Cedillo: "Hey Gabacho Mayor Yoga Pants, how much Measure HHH Bond Money can I MISAPPROPRIATE (notice rising hand) for non Homeless Housing/Services in Lincoln Heights"? ** Blogger's Notes: A Ciudad de Los Angeles Political Promises Flashback ............., in 2006, Angelinos had just elected a "Pop Star Mayor (who later was bestowed the dubious distinction of being a "Failure Mayor", but I digress)", who PROMISED to add 1,000 more LAPD Officers, in return for raising your Trash Fees ........ and the reality? 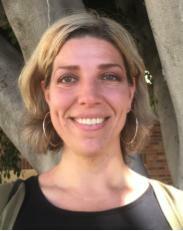 Fast forwarding to 2016, a Presidential-aspiring New Age (with Yoga Pants) Mayor, is successful in garnering an impressive 76% of the vote to pass Measure HHH, which would add an assessment to Property Taxes in the City of Los Angeles to finance Homeless Housing and Supported Services. ........, and the reality? 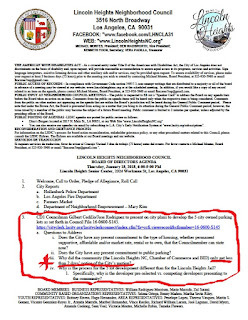 View the Videos below from last Thursday's Meeting of the Lincoln Heights Neighborhood Council where a Scandal was exposed ........., and OPPOSED by Lincoln Heights Community. 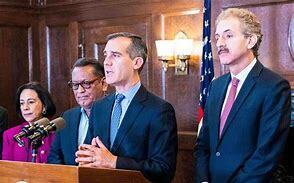 Another Broken Deal Cedillo (in support of Mayor Eric Garcetti) Scandalous Moment-----Scott Johnson. LHNC Q and A on proposed Five Lots Homeless/Mixed Housing Development, Part One. LHNC Q and A on proposed Five Lots Homeless/Mixed Housing Development, Part Two. LHNC Q and A on proposed Five Lots Homeless/Mixed Housing Development, Part Three. LHNC Q and A on proposed Five Lots Homeless/Mixed Housing Development, Part Four. 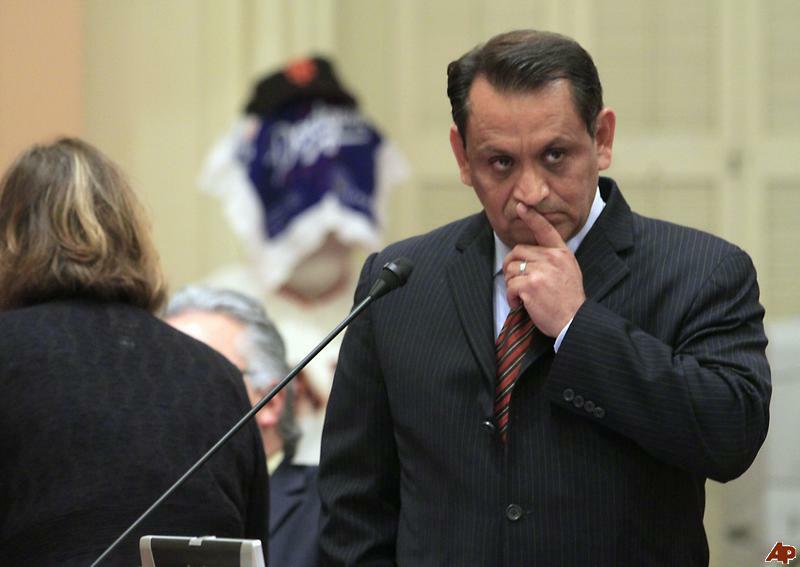 Mayor Sam Exclusive: "Liar, Liar, Broken Deal Cedillo's Pants on Fire (the 2018 Sequel)". COMMUNITY ACTION ALERT!! 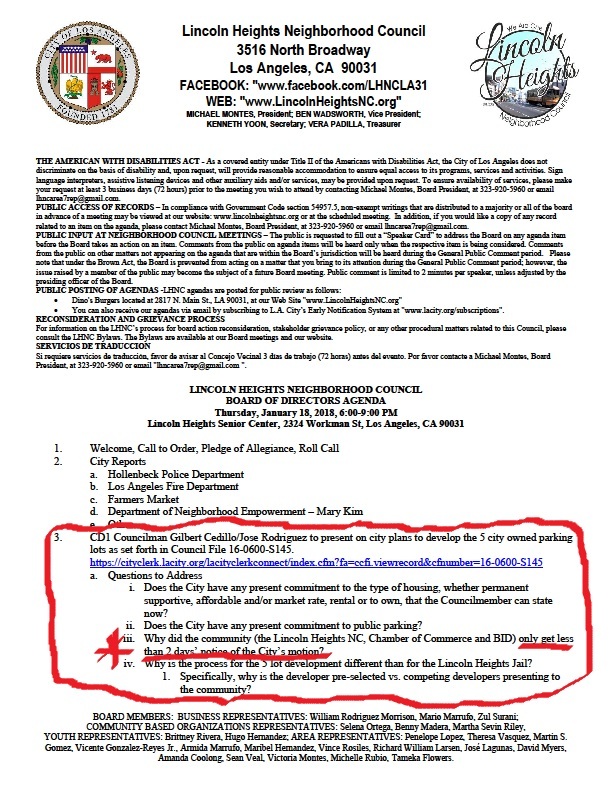 The re-elected CD-1 City Clowncil Central Committee Member Gil "BROKEN DEAL CEDILLO" is reneging on his previous pledge (again) to, NOT place FIVE Homeless Housing Developments in Lincoln Heights (soon to be "Skid Row Northeast"), prompting a communal Backlash. CD-1 Clowncilman Gil "Broken Deal Cedillo" scheming (AGAIN) to to Lincoln Heights into "Skid Row Northeast". 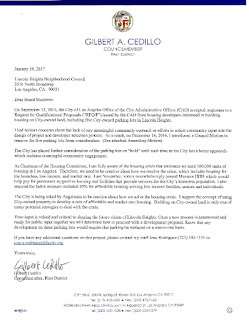 ** Blogger's Notes: In a Mayor Sam Exclusive, we have learned that CD-1 City Clowncil Central Committee Member Gil "Broken Deal Cedillo" is reneging on a pledge to remove from consideration, the use of FIVE city-owned Parking Lots in Lincoln Heights, for Homeless Supportive Housing Developments as provided for in Measure HHH. 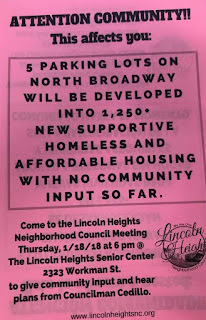 The Lincoln Heights Neighborhood Council in a flyer pictured below, has taken the re-elected Clowncil Member to task for REMOVING THE HOLD on developing the Parking Lots during the Christmas/New Year Holidays period, WITHOUT community input. Further, we have been made aware of comments via Clowncilman Broken Deal Cedillo Chief of Staff Arturo Chavez that the proposed Developments where a DONE DEAL (regardless of community concerns). With respects to Chief of Staff Chavez and his Deal-breaking Boss, they may want to revisit local history (think BATTLE against the Boyle Heights Prison), to comprehend how the ramifications his dismissal of communal input (while taking care of MEGA Trump Donor Geoff Palmer) ........., EMPOWERS constituents to demand respect and justice from their DEAL BREAKING Officeholder-----Scott Johnson. 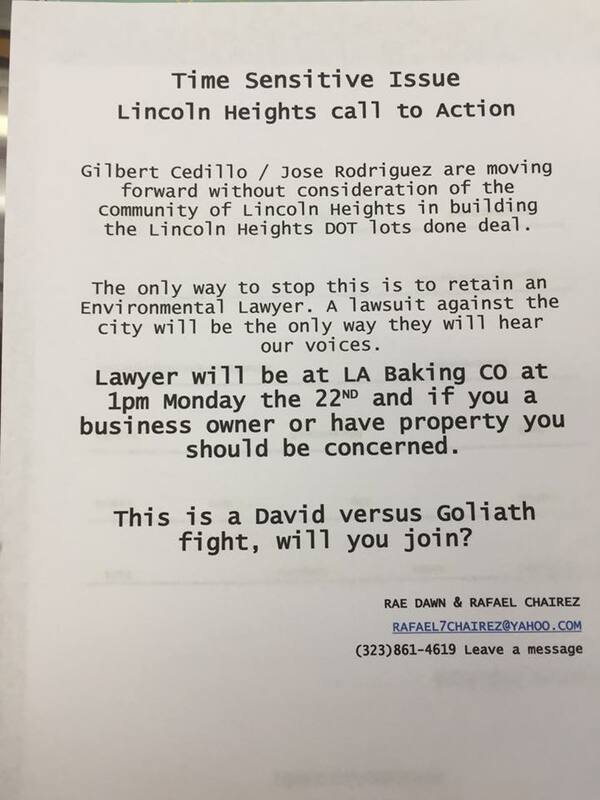 SUPPORT the Lincoln Heights Neighborhood Council in holding "Broken Deal Cedillo" accountable for his repeated DISDAIN for Openness and Community Imput. 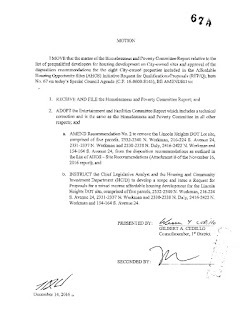 Did Clowncilman Broken Deal Cedillo Chief of Staff Arturo Chavez state that the proposed "Skid Row Northeast Developments" were a Done Deal (without community input)? 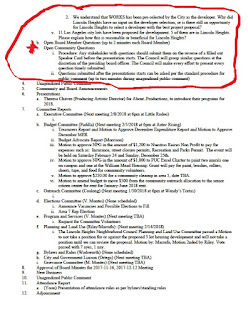 Lincoln Heights Neighborhood Council Agenda, Page 1. 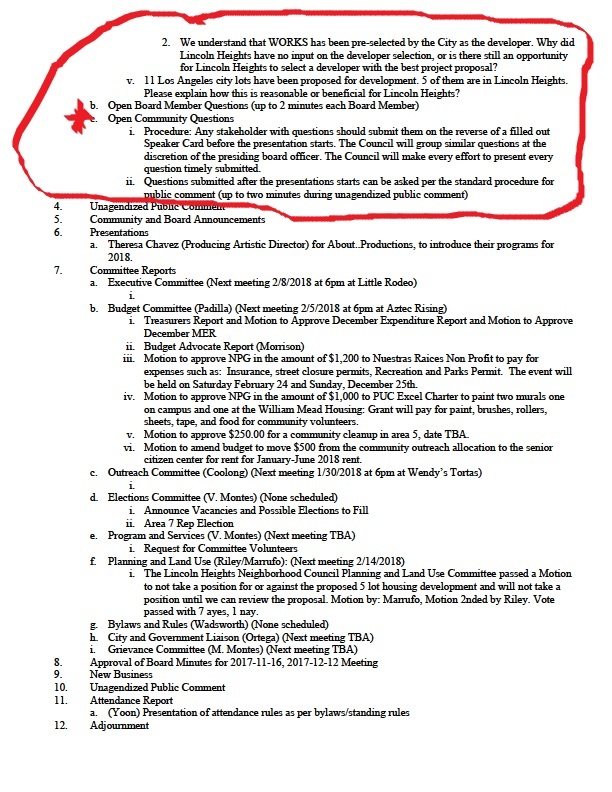 Lincoln Heights Neighborhood Council Agenda, Page 2. On this Day that we honor the Legacy of Civil Rights Icon Martin Luther King Jr. the Mayor Sam Blog continues its tradition (actually daily endeavor) to NOT judge the operatives of our local Political Machine, based upon their Skin Color, but instead, document Acts of Policy Character (or lack of). Wonder if MLK would favor Character/Merit-based Immigration, but I digress? ** Blogger's Notes: We want to wish everyone a great, MLK Day of Character Refection. To paraphrase the timeless vision of the Civil Rights Icon ........, "Today, like yesterday and tomorrow, politicos and enabling entities WILL NOT be judged by their ethnicity, but by the character content of their actions". That stated, we want to give bloggin witness to our cyber audience in continuing to expose (below) those in need of a CHARACTER INTERVENTION, but also COMMEND those (in a separate Blog Post later today), who's talk of Character .........., is matched by ACTION-----Scott Johnson. 12/23/15 6th & Catalina Chevron Inc.
** As Los Angeles City Clowncil Central Committee Member Mike Bonin, along with colleagues Paul Koretz, Marqueece Harris-Dawson and Jose Huizar seek approval to join the growing Green Leftist Lawsuit Demonetization of Big Oil (in reality, a redistribution money grab), the CD-11-derided Bike Lane Advocate and his Clowncil Climate (Fraud) Fellow Travelers, may want to allocate some office time to deal with EXPOSED realities (Chevron and its supported LA Jobs PAC) of Contribution Hypocrisy. ** To paraphrase noted American Social Commentator Forrest Gump (in fitting with the CD-1 Communal Culture) ......., "STUPIDO IS as STUPIDO DOES (especially if STUPIDO is also known as Broken Deal Cedillo)". 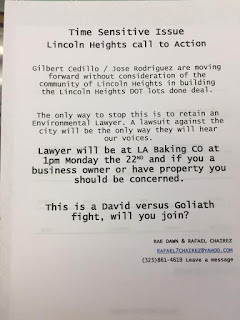 The Act of Breaking Deals, Reneging on your Word (or SIGNED Letter as pictured above)), is second-nature to the Re-elected CD-1-representing City Clowncil Central Committee Member as ANGRY Lincoln Heights Community Members are witnessing. ** There was once a time in Los Angeles Journalistic History when the shouts of the Paper Boy pronouncing "EXTRA! EXTRA! Read all about it", merited a prompt response to indulge in the latest EXCLUSIVE missive ........., based upon objective facts. But decades later, the Paper Boy has been replaced with an App on your Cell Phone, that acts as a Propaganda Dispenser of "STUFF" too good to be true ........, from a certain "Old Gray Collectivist Resister on Spring Street". Indeed, the State of local Journalism, is devolving into a One Political Party Regurgitation of Anti-Trump/Republican Disinformation, that serves as a cover for the GROWING corruption, via the CADEM Establishment/Special Interest United Machine, which controls "Cubafornia on the Pacific". But for those who STILL espouse to practice the craft of Reporting, based upon Who, What, Where, When, How and Why (without bias or shakedown for Public Funds), we present The View's Megyn McCain's Tutorial on deconstructing a Journalistic Fraud. Remember Character COUNTS-----Scott Johnson. Off the Record, NAUGHT when engaging in Agenda Journalism. 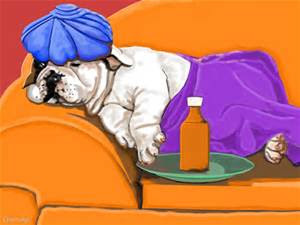 Please pardon the bloggin interruption as this Blogger preps for a MINOR surgical issue, we will endeavor to resume our cyber musings later today (after appointment)----Scott Johnson. Ouchies from an active life need attention. 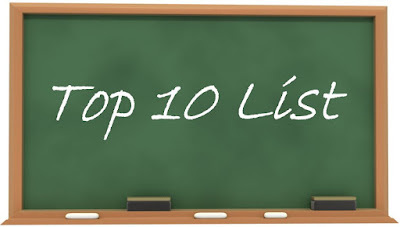 On this First Official Bloggin Work Day of 2018, we channel mind to keyboard in detailing our Top Ten (and Beyond) Watch List regarding the increasingly undemocratic, CADEM/Special Interests United Establishment (along with their local underlings) within Ciudad de Los Angeles. 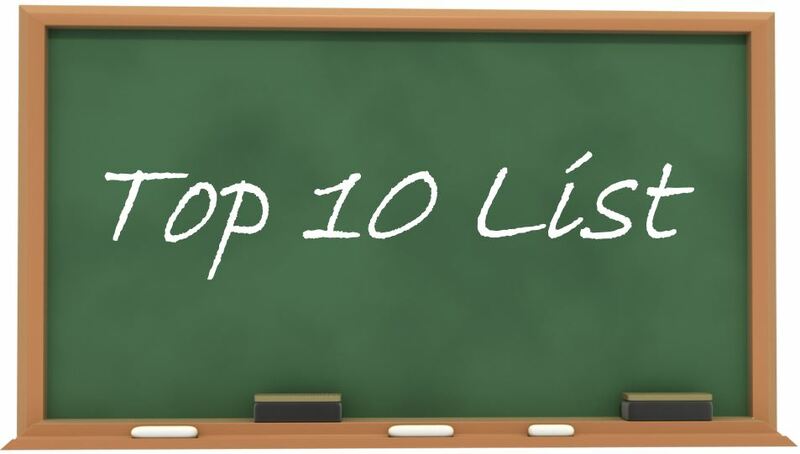 A Bloggin Top Ten (and surely Beyond) List of Topics for 2018. ** Blogger's Notes: Please pardon the momentary inhale ........, as we attempt to locate our inner-buzz of 2018 and thanks to the normal inaction of the Los Angeles City Clowncil Central Committee (with assistance from City Attorney Mike Feuer), your local non-medical Ganga-cravings will need LEGAL fulfillment beyond the municipal boundaries. 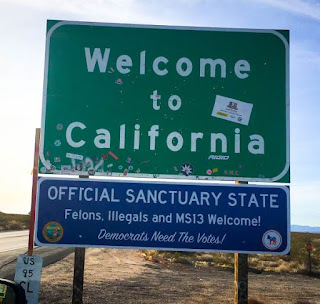 Regaining focus, the Bloggin Blue Dawn of 2018 within "Cubafornia on the Pacific", has been blessed by the LOYAL Resistance with the Signage, pictured below, that remind the Four Million-plus PRESIDENT Donald Trump supporters of their Minority Status within the CADEM/Special Interest United-controlled People's Sanctuary. Formalities aside, 2018 with its much-anticipated "Mid-Term (and Statewide) Elections" in November, will surely supplement the always-bountiful LOCAL amount of bloggin musings, making the exercise of condensing a Top Ten Watch List ..........., BEYOND expectations (below)------Scott Johnson. "Welcome to the Cubafornia on the Pacific Criminal Republic". 1. The Special and Regular 39th Assembly District Elections: With the disgraced Raul "PERVYnegra" garnering the dubious distinction of being the FIRST State Officeholder forced to resign via his documented past Acts of Sexual Harassment/Inappropriate Conduct, we ponder whether the 39th AD Electorate will return Patty Lopez to Sacramento? 2. Democracy Watch in Sunland-Tujunga: With the recent ACTIONS of CD-7 City Councilwoman Monica "#LadyMFraud" Rodriguez that targeted the Sunland-Tujunga Neighborhood Council's use of its recently-reinstated Office at North Valley City Hall, we have to question the commitment of the Fresh Face of the Northeast San Fernando Valley Democratic Machine, to respect the work (and rules governing the operation) of the community-elected entity. 3. The Branding of Richelle Rios Huizar for City Council 2020: With the Spouse of CD-14 City Councilman Jose Huizar on record in stating her INTEREST in seeking to replace him on the City Clowncil Central Committee in 2020, intuitive observers will SURELY monitor Richelle Rios Huizar's Husband use of taxpayer-financed communication mediums to promote #Richellary2020. 4. The 2018 Coronation/Anointment/Election of State Senator Maria Elena Durazo: Democracy will be DAMNED (again) in Northeast LA as LA County Labor Federation Strongman Rusty Hicks, along with the CADEM/Special Interest United Establishment (with funding from United Here, SEIU, Chevron and Cash Tributes from ALL CADEM State Politicos), will CLEAR THE CANDIDATE FIELD to insure that LABOR SISTER Maria Elena Durazo replaces State Senator Kevin Alexander (of or de) Leon. 5. 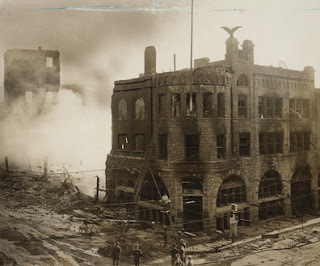 The Old Gray Collectivist Resister on Spring Street (aka LA Times): We will continue to highlight the devolution of Objective Journalism and counter the FAKE NEWS that serves as supposed Resistance Pronouncements against the Presidency of Donald Trump. 6. Who will replace Assemblyman Matt DaPERVneh? 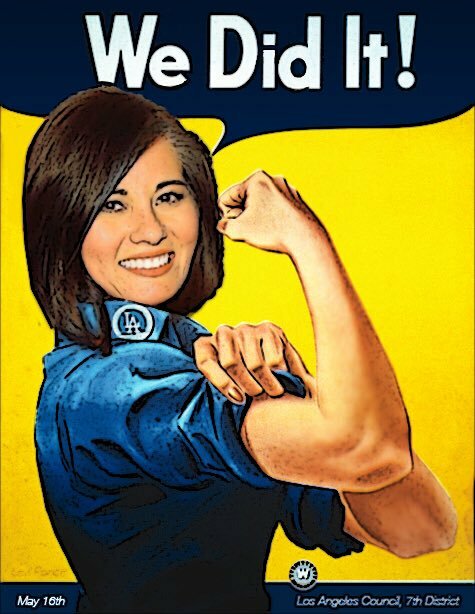 : Can the LOYAL Resistance pull off the upset in taking over an (45th) Assembly District being ravaged by Property Crimes, going unpunished under the revised guidelines of Prop 47, 57 and AB-109? 7. President Eric Gar-SOFT-ee Watch 2020: Pipe Dream. 7a. Governor Antonio Villargovea Watch 2018: Electorate says ........., CHALE!! 7b. US Senator Kevin Alexander (of or de) Leon Watch 2018: Vanity Gone Wild. 7c. State Treasurer Mike Gatto Watch 2018: Reality says .........., NAUGHT!! 8. Ask a Fake News/Propagandist Muckraker featuring Brian Hews: Our favorite bloggin feature continues in 2018. ** AND BEYOND: To be continued. The Weed Leaf of Record (aka. LA Weekly). Rigged LAPD Crime Comp Stats (and the PROMOTION of enabling Command Staff). The FRAUD of White Male-caused Climate Change. .........., and who is Mario Maruffo? Happy Bloggin New Year ........., if we could only UNLOCK the (STNC Office) Door to 2018!! 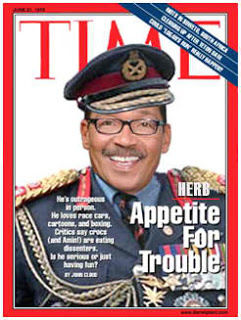 As we wish to bloggin welcome the start of 2018, we awaken to find that a supposedly-resolved, 2017 Sunland-Tujunga Neighborhood Council Office Controversy (via the alleged, humanitarian intervention of Los Angeles City Clowncil Central Committee Strongman Herman "Mini Amin" Wesson), has been rekindled by the "VINDICTIVE Lock and Key Actions" of CD-7 City Councilwoman Monica Rodriguez (aka. #LadyMFraud). A change to the Yearly Calendar does NOT curb the Appetite for Trouble, via City Clowncil Central Committee Strongman Herman "Mini Amin" Wesson's vindictive "Lady M Fraud". ** Blogger's Notes: As the fingers revisit the bloggin keyboard for the first time in 2018 after a protracted break, we would be remissed in not FIRST, wishing our cyber-audience a HAPPY START to the 2018 Year of Resistance ............, against the CADEM/Special Interests United (and RINO) Establishment Machine. Formalities stated, we would normally keyboard onwards in broaching on the local Conventional Wisdom, regarding the future State of Political Affairs at 200 North Spring Street, but there is a certain NEWLY-INSTALLED (with the help of Chevron), CD-7 City Councilperson, who can't let go of the 2017 Actions (at the Ballot Box) ........, by a "Grass Roots Few (or about 46% of voters). According to sources, the FRESH-FACE of the embattled (and female-abusing) Northeast San Fernando Valley Democratic Machine, has channeled the punitive proclivities of the previous Officeholder Felipe "FU" Fuentes, by changing the Locks and Keys on the Doors of the North Valley City Hall ........., which houses the Sunland-Tujunga Neighborhood Council. 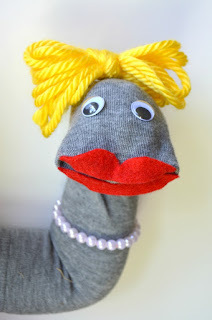 Its apparent that the NEWLY-BESTOWED, #LadyMFraud, has a vindictive, inner-persona, that matches her ambitious, upwards political desires ........., with very possible ramifications for the community political standing of Los Angeles City Clowncil Strongman Herman "Mini Amin" Wesson. Wesson was instrumental in brokering PEACE between Sunland-Tujunga Activists and City Hall, via his decree which restored the STNC Office access at the North Valley City Hall, but the ACTIONS of his desired replacement for "FU Fuentes", could have an adverse impact on a future "Mini Amin Wesson for Mayor Campaign" ........., if he does not fixate #LadyMFraud on a positice communal future (and bury a vengeful past from 2017)-----Scott Johnson. 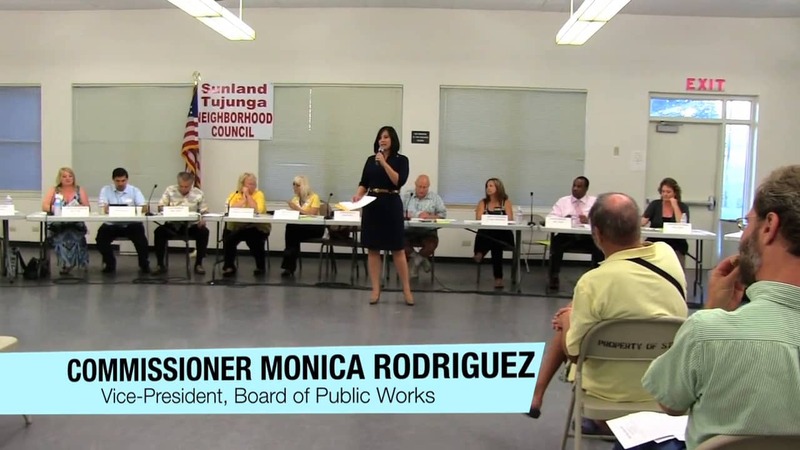 More like .........., We Did It (Again) to the non-conforming Sunland-Tujunga Neighborhood Council. Ask NAUGHT, what your newly-installed CD-7 Councilperson can do to build a mutualistic relationship with the STNC. Every vindictive #LadyMFruad needs like-minded Political Sock-Puppets (on payroll) to implement their punitive Political Agenda. To be continued.